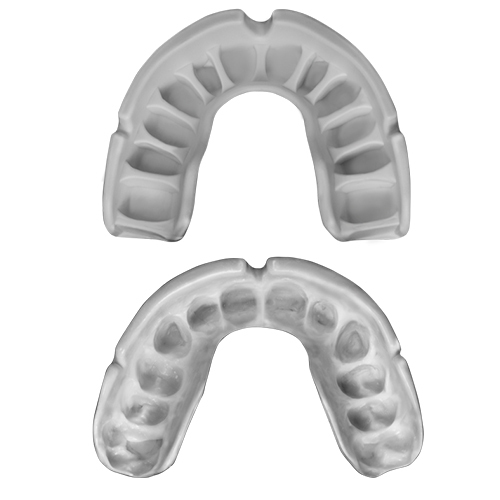 OPRO’s patented fins provide the best fit and retention of any self-fit mouthguard in the world. The patented fins in OPRO Self-Fit mouthguards are anatomically placed for the best fit and retention. The placement and depth of the fins are based on data gathered from over 1 million OPRO Custom-Fit dental impressions. To mould your mouthguard, simply place in freshly boiled water to provide a fit like no other Self-Fit mouthguard before. The hi-flow gel material softens on contact with hot water and when moulded, the mouthguard hugs tightly around the teeth and soft tissue.